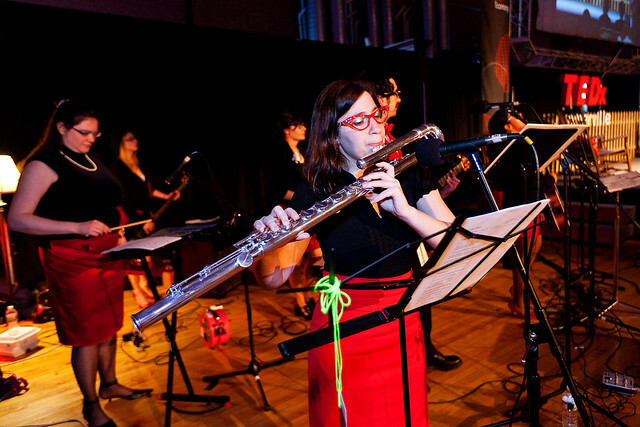 Tanya Palit’s Top Ten Reasons Why MJEML Being the House Band at TEDxSomerville Rocked! 1. When a band writes highly personalized theme songs about people, it makes them seem like superheroes who exist in an alternate reality. Until you run into them at Shaw’s or something. Then minds are blown. 2. 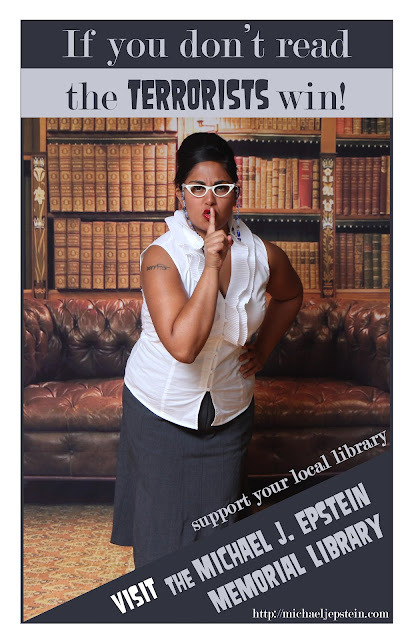 Our Michael J. Epstein Memorial Library outfits matched the TEDxSomerville color scheme to a tee. We looked like we were part (possibly inhabitants) of the elaborately crafted stage set. 3. Who needs love songs when you can sing about livestock, barber shops, Ikea, and innovative light rails! 5. After an entire day of playing entirely new, freshly written songs at the conference, playing our own set at a gig later that same night felt like a cake walk. A CAKE WALK! 6. 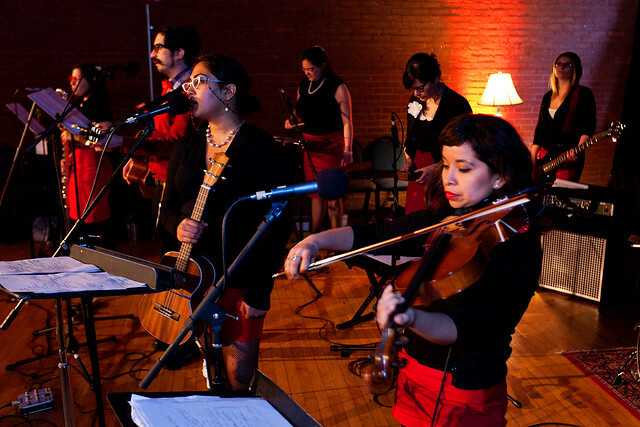 When on tour with the band, sometimes a “good meal” means “Twizzlers and pizza-flavored Combos from a gas station.” When playing as the house band for TEDxSomerville it means delectable vegetarian food from a local Ethopian restaurant. 7. I think one of the speakers played a flute with his nose at one point. This tickled me tremendously. 8. Through this feverishly paced song writing exercise, my own musical influences really became apparent. More than one person commented on my Beatles-like choruses and bizarre, David Bowie-style chord changes. 9. We’re suddenly part of a global community of innovative conferences happening around the world. That is pretty cool. 10. I am so proud to be a part of a hard-working and fun-loving group of people who are always pushing the creative envelope. Nothing builds a band solidarity like taking on projects which others might deem mildly insane!